Up to a few years before HR professionals have spent their more time on the administrative activities. However, nowadays they deliver additional to the business by focusing more on transformational works.HR departments are addressing this expectation each through structural changes that change them to standardize policies and procedures and through the use of technology. 1. Improvement of services offered to the organization. 2. To become HR enabling as a more strategic contributor. 3. For the wider organizational model HR need repositioning to fit. In the effect of these changes, the use of technology sees as the key for business. Then the priority goes to improving the integration of other core applications with HR. it will offer added value to the business by allowing key information to be shared. To reducing the administrative burden on HR, the keyway and the major requirement will be making HR activities and processes available via the internet. To manage all your HR activities more efficiently a human resource management solutions can help you by avoiding duplication of information and get rid of redundancy. A world-class HRMS suite comes equipped with powerful reporting tools which will provide absolute automation of all the HR activities. An HRMS is a must to gain a clear insight into the organizational processes and the ability to resolve complex HR activities with fact-based strategies. How an HRMS boost efficiency? To meet the needs of the dynamic environment of the HR digital technology HRMS has also undergone some exciting and challenging changes in recent times, with the advent of technology. Managing recruitment, retention, documentation and separation are the main responsibility of the HR in an organization. By making effective organizational strategies which are now expanded to assisting in achieving the organizational goals. An HRMS solution is a must-have in order to ease all these activities for every HRD. HR activity Automation: To make easy to maintain records interlinked all of the HR activities like recruitment, attendance, leave, payroll. The HR can save time used for multiple entries by the automation. Unlike when done manually then all the activities by the HR will be monitored single-handedly. This will eliminate the stress of work by saving time and also by helping to avoid manual errors and frauds. This will aid in your business advancements and for HR team can focus on other key activities. Effective payroll management: You can manage all your payroll activities with Open HRMS payroll management with some clicks. No more time-consuming data entries, manual calculations and excel sheets etc. It is designed to meet all regulatory requirements like overtime, incentives, bonus, leaves, loans, advances, contractor payments, and hourly wages, etc. Effortlessly Managing employees: Many organizations in contemporary times have a distributed workforce with the Open HRD located in the headquarters. In such cases to track the location and exact productivity of the employee is difficult. Reducing paperwork: All the information shall be accessible within some clicks so no more running through files and paper cabinets to search for information. The benefit of digitization of processes is the reduction in the use of paper, which eventually save cost associated with the managing and storage of papers. Decision making: For all the HR related activities. Open HRMS software provides intuitive analytics and diverse reports. This helps the business organization based on the analytics improving decision-making abilities and provide a better insight into the management in improvising processes and streamlining workflow. This aids the performance and working of the organization. 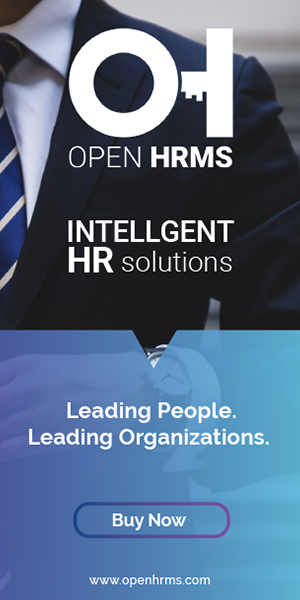 Absolute automation: In automating all of your HR activities Open HRMS will help you. This not just helps the organization, but right from recruitment to retirement it helps eliminate human error, double entries, and missed deductions etc. Improving efficiency achieved by their workforce is the primary aim of all organizations. As such it is important to streamline the activities like one of the main time-consuming activities company’s needs to take care of such as those connected with salary payment. To easily manage all the payroll related task in a completely efficient way, businesses need to utilize payroll management system . Let us look at the benefits of utilizing such a system for your business in the following sections. 1. Monitor attendance for employees. 2. Link such attendance data with the payroll system. 3. Automatically calculate leaves, salaries, payment of taxes as well as benefit allowances. 4. Perform a generation of pay slips and tax certificates. Another good thing about the payroll management of these systems is that in case new requirements arise, you can expand their functionality. With the increase in the number of employees working for the company, the modules in this system can be added to meet the changes in requirement. Along with the facility of viewing any worker-related details for a particular month or for all employees, you can also make use of customized reporting.